Still looking for a way to capture and translate the physical properties of your home gadgets, office equipment, or some other three-dimensional items? The perfect way to solve this dilemma is through the use of the microscribe arm. some other industries, then it is high time that you start to consider bringing in the expertise of a microscribe arm to your team. Through the microscribe arm, you will find it easy to create 3D models of any object at all, even if these objects are by no means flat. The good thing about the microscribe arm is its ability to get the physical properties of an object just by merely tracing over the object’s contours. By doing that, anyone can easily come up with a 3D design of an object in a matter of minutes. 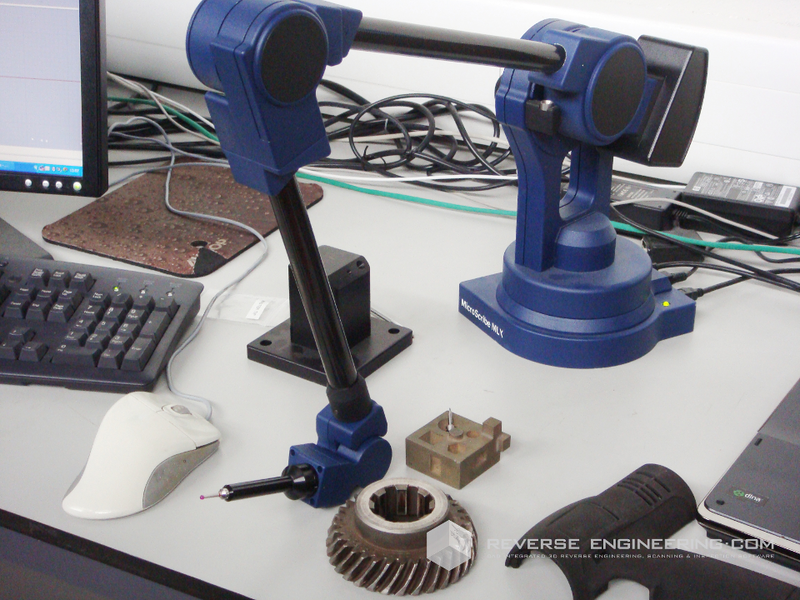 If you want to take your company’s efficiency to the next level, then add ReverseEngineering.com’s software that can support the functions of the microscribe arm. Thousands of users can attest to the efficiency of the microscribe arm, especially for companies that are bent on professionalizing the services they offer. The first thing that comes to mind when one hears microscribe arm are the car manufacturers and assembles that do imaging as part of their daily work. However, you will be surprised to realize that a variety of industries and professionals are now starting to realize the importance of having a microscribe arm in their possession. Among the professionals who have learned to appreciate the value of a microscribe arm are the architects and engineers who are dealing with 3D images on a regular basis. The construction industry, whether residential or commercial, makes use of 3D images from the start to the end of every project. Imagine how satisfied your clients would be, when you give them a preview of how the inside and the outside of their buildings or homes will look like, through a 3D image created with a microscribe arm. Undeniably, it is the auto industry that has cashed in on the benefits of using a microscribe arm which they use to create their vehicle models. The microscribe arm is also essential in reconstructing the drawings or plans for vehicles due for inspection, repair or redesign. The microscribe arm is a very useful device for creating prototypes for equipment, machine or vehicles. This is especially true for items that are no longer available in the market, or items which the user wants to improve on. Gadgets and electronics are expected to become more highly in demand for years, making the microscribe arm a good investment. The usefulness of the device is made more significant in various industries because of its portability and accuracy. With the microscribe arm, even the hard-to-reach areas or parts of an object can be recreated. Surprisingly, even the medical industry has started to realize the importance of the microscribe arm. You would not believe it, but even industries that provide foot care find the microscribe arm very useful. Through this gadget, foot care specialists are able to use technology to provide the best health care possible to their customers. No matter what your business is, check out the various ways and means that the microscribe arm can help you when it comes to improving your efficiency and productivity. The growth of the product line is a direct result of end-user input and many features have been added at the request of customers that already use ReverseEngineering.com's software to improve their digitizing process. The fully integrated software gives you access to ReverseEngineering.com's features in the most efficient manner within SolidWorks. Several options are available per user defined preferences via a plug-n-play tool bar or directly via the SolidWorks Command Manager. Significantly improving workflow by allowing you to model-as-you-go. Create custom planes "on the fly," adjusting probe tolerance to maximize accuracy. Polar lock planes enable you to accurately scan any axis - find points from a user-defined distance from the plane. This enables you to slice data in any direction . HIPP's point cloud thinning capability provides more precise data for CAD systems, because it "thinks" like the target CAD system and does not conflict with it.